Helix is a stylish single 18650 starter kit inspired by the form of double-helix. Built with high grade ultra-lightweight ABS material which increases impact and heat resistance. Three power output modes are available to match your personal preference. Helix adopts AS chipset, it is within 0.1-3Ω, and it provides with multi-functional protection. And it supports three output modes available. 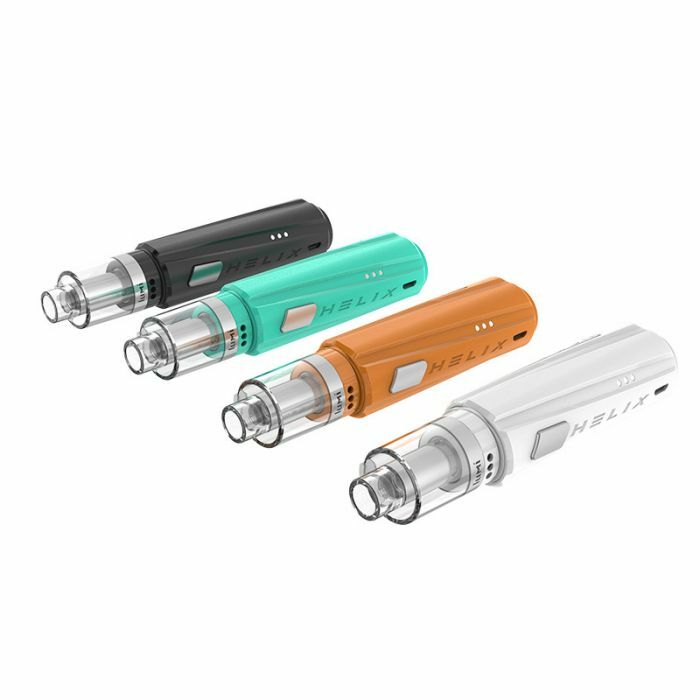 You can enjoy this excellent kit.Helix battery mod is compatible with LUMI tank, the LUMI is a pre-coiled sub ohm tank that is powered with our supermesh coil system (non-replaceable)to produce best flavor and outstanding vapor production. Lumi tank is built with food grade PC and Stainless steel. The advance AS chipset fires extremely fast and stable.